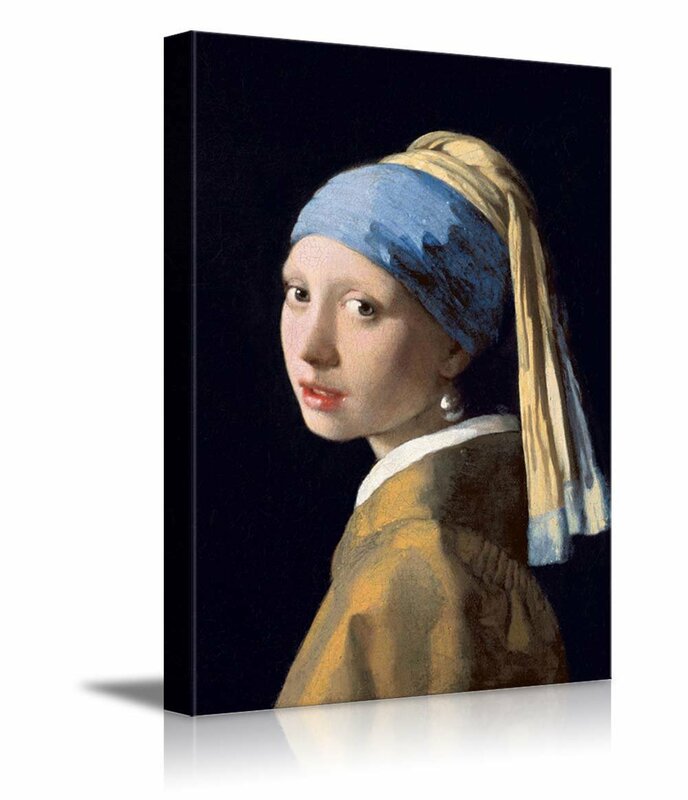 wall26 Girl with a Pearl Earring by Johannes Vermeer Giclee Canvas Prints Wrapped Gallery Wall Art | Stretched and Framed Ready to Hang - 16" x 24"
I had this on a print but wanted it on canvas and it's absolutely beautiful!! This was beautifully presented and made an incredible gift. It shipped promptly. Definitely recommended for any Girl With a Pearl Earring fan! I was a little disappointed as the black background is more like maroon and I hoped the other colors were more vibrant. But is is inexpensive and useful as decoration. Very nice colors. Would recommend. Looks beautiful on my wall. Thank you.